Yes, you read that right! We are a finalist for a major award by BlogPaws! 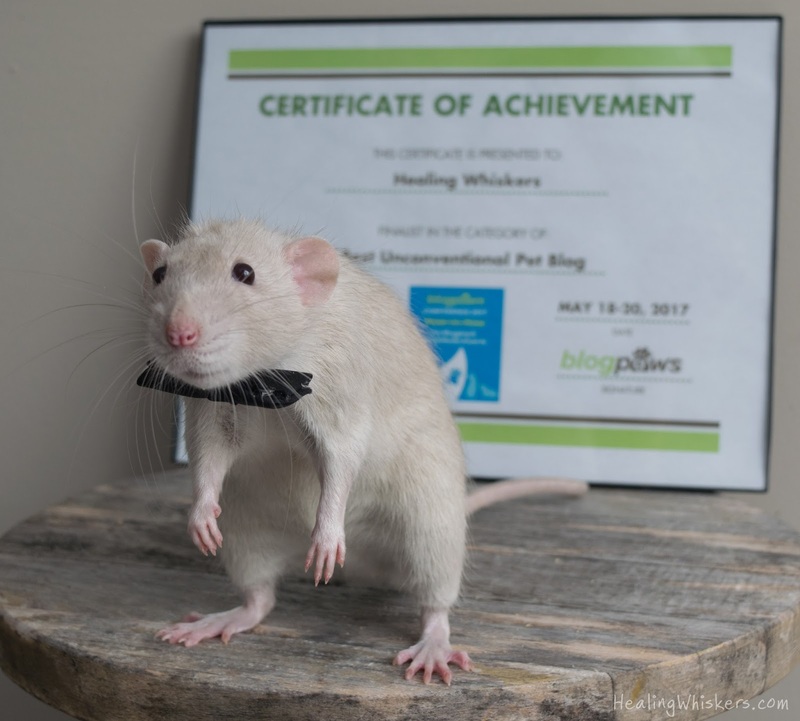 Don't know what BlogPaws is? 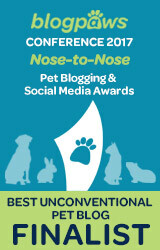 BlogPaws is the hub of all pet bloggers. A place to be educated and learn from other bloggers nationwide, a physical conference to attend every year, and even a place to find influencer opportunities. This is the highest achievement for a pet blogger and we are truly humbled! 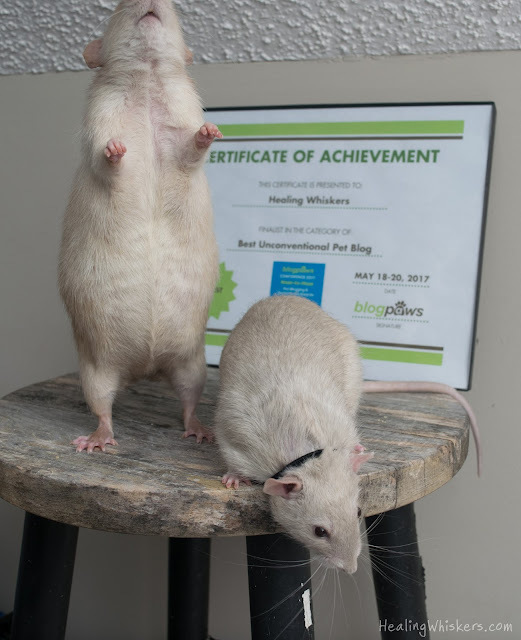 So every year, BlogPaws hands out physical awards at their conference. 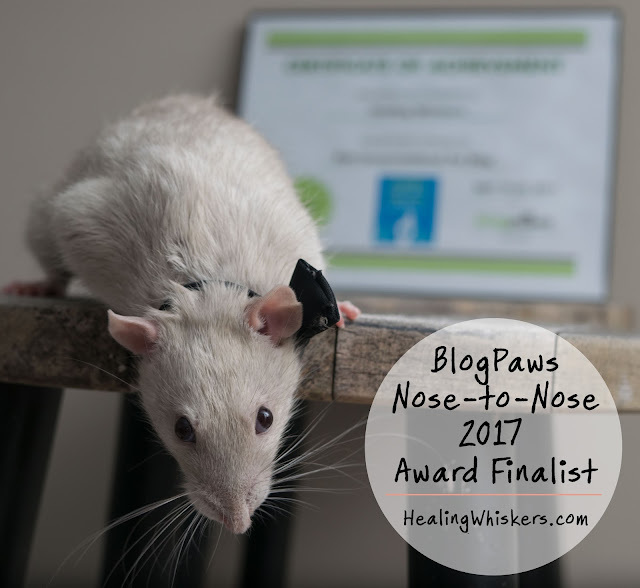 These are called Nose-to-Nose awards, and every year I've gone (with my other blog The Chesnut Mutts) I have dreamt of receiving one. There are lots of different categories like new blog, best dog blog, best photo, and of course, best unconventional, or other animal, blog! I thought maybe this could be the year, but I am doubtful since Healing Whiskers is still in its infancy, but we will see! Jasper attended last year, but will not this year because he has had seizures in the past, so he will be looked after by family. I hate to break the duo up, but this is for safety reasons. For de-stressing Oliver I'll bring a stuffed animal rat for him to cuddle. It isn't the same, but it should help. "I'm ready for the red carpet!" So yes, we will be at BlogPaws 2017 in Myrtle Beach this year! Oliver will be representing Healing Whiskers and Jada will be representing my other blog The Chesnut Mutts. Look for us in the purple stroller with a dog and rat in it! Let's say congRATulations to our fellow nominees! Leave a comment in the section below! What a wonderful post! 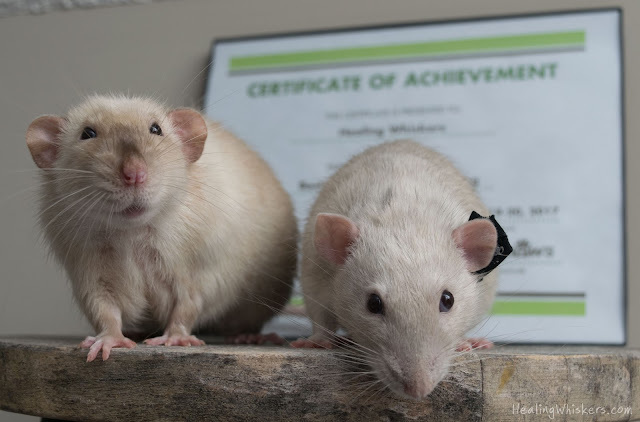 I'm glad we're rat partners, Abby. :) Your blog is fantastic. 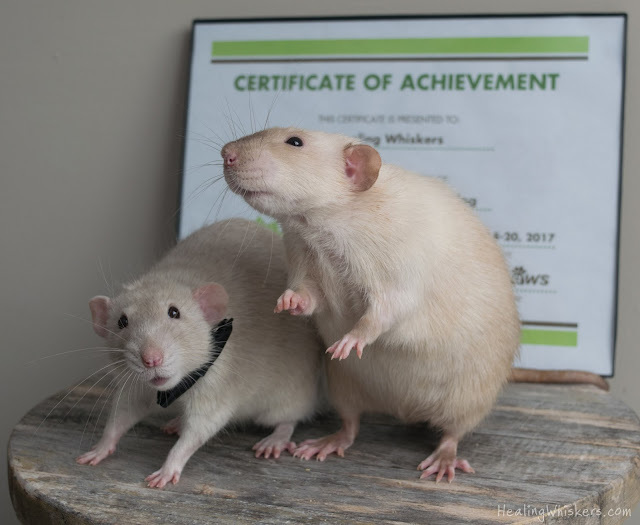 CongRATS to you, Jasper and Oliver! Oliver and Jasper are looking mighty handsome in these photos. Wish I could attend the conference....hopefully next year. 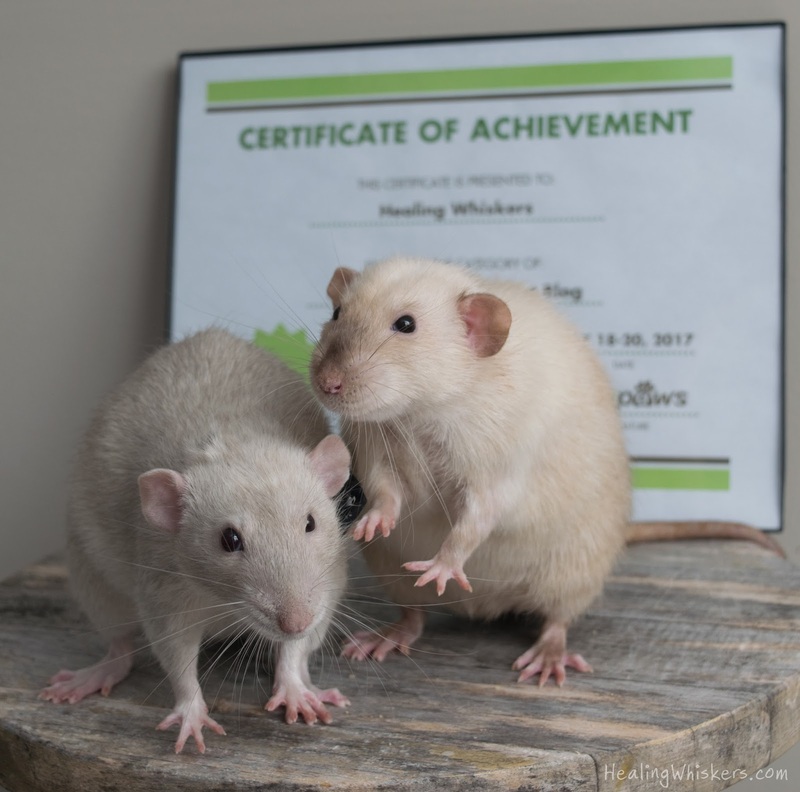 Hope you, Oliver and Jada have a fantastic, adventure-filled time at BlogPaws 2017.